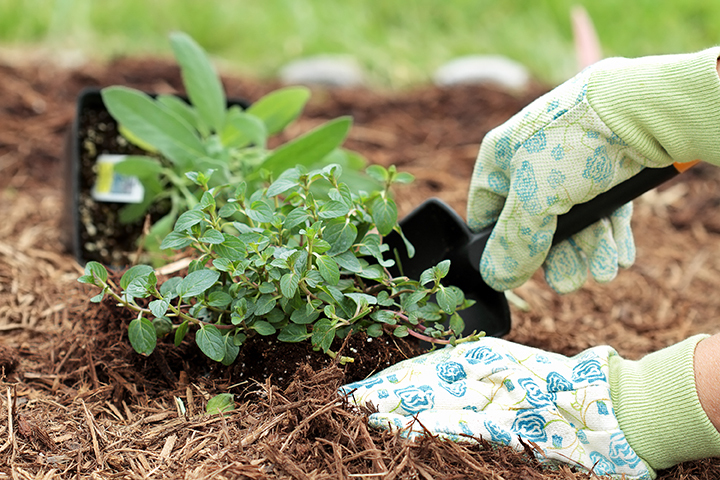 Mulching is one of the best things you can do for your garden. It improves the health of your soil, and best of all, helps keep weeds down. Our guide to Mulch will help you improve your garden soil in no time. In nature, fallen leaves, twigs and plant debris fall on the ground, creating a matted and porous ground cover. This covering helps to keep soil healthy. When it comes to your garden this process needs to be helped along with the manual introduction of mulch. Mulch is any type of material that is spread or laid over the surface of the soil as a protective or decorative covering. It may seem like a lot of work but the benefits to your garden make it worthwhile. R educing surface evaporation - protecting your plants from drying out during warm weather. Reducing weed growth and time spent weeding. Enhancing the visual appeal of flower beds and vegetable gardens. Protecting plant roots during harsh, cold weather. There are two types of mulch: biodegradable and non-biodegradable. Biodegradable Mulch breaks down gradually and releases nutrients into the soil to help improve soil structure. This kind of mulch is generally used in flower beds and vegetable gardens because it adds valuable nutrients to the soil and it can be easily worked into the soil at the end of the season. Biodegradable mulch, also known as organic mulch, will need to be replaced when the material has fully rotted down. 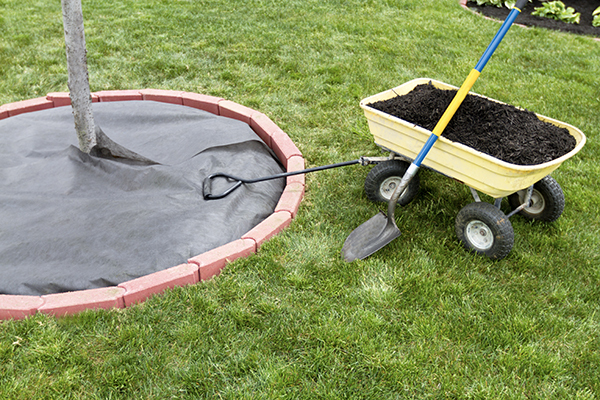 Depending on the terrain, you may need to touch up some areas with more mulch every one to two years. Bark mulch is a by-product of the timber industry and is the most common and least expensive type of mulch. This is a popular choice for flower beds as it has an aesthetically pleasing appearance. Wood Chips is similar to bark mulch but is a recycled product made from timber pallets. Chipped wood tends to be lighter in colour than bark. Leaves break down quickly and should be shredded to prevent them from matting down. Leaves are often used as mulch during the winter to protect plants from cold weather. Straw is an ideal temporary solution and is used mostly for strawberries during the fruiting season. Straw is not recommended as a long term solution as it can become an inviting home for vermin. Top Tip – Top up your organic mulch every year or two as it breaks down. The old mulch can be mixed into the garden soil to allow it to finish decomposing, or a new layer of mulch can be spread directly on top of the old mulch. Non-biodegradable mulches do not release nutrients into the soil or improve soil structure but they do suppress weeds and conserve moisture. This kind of mulch tends to need less maintenance than biodegradable mulch. Weed control fabric is a woven or non-woven fabric of polypropylene or polyester. After laying it, slits can be made in the fabric to allow you to plant through it. To allow rain and water to reach the roots make sure to choose a water permeable material. Pulverized rubber (rubber mulch) tends to be a little more expensive than wood but can last up to ten years, saving you money in the long term. This product is usually made of ground up recycled tyres and is ideal for flower beds and areas under swings and play areas. Slate, pebbles and gravel are not typically thought of as mulch but they have many of the same qualities helping to keep moisture in the soil and to suppress weeds. This kind of mulch comes in a wide variety of shapes and colours and is ideal for giving a contrasting look to your garden. You will need to lay a layer of weed control fabric before layering your stones, and you may also need to use lawn edging to keep the stones from spreading into your lawn over time. This is where you may need to rope in some friends and family to help; many hands make light work! Prepare the area - Pull any weeds that already exist. Install borders or edging - this will help keep in the mulch in place and prevent spreading out onto the lawn or driveway. Our easy step-by-step guide: “How to edge a lawn” will bring you through this process. Lay a layer of weed control fabric.This will help to keep most weeds down. Add a generous layer of mulch. To be effective, mulch needs to be between 5cm and 10cm thick. 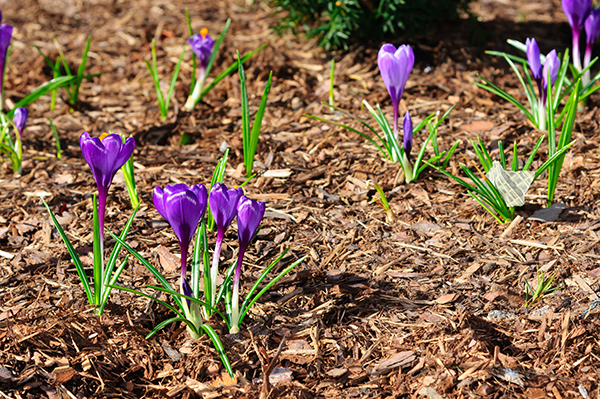 Spread the mulch - use a rake for an even finish. Top Tip - Do not pile mulch up against tree trunks or the stems of plants. Pull the mulch back several centimetres to uncover the base of the tree or plant. Mulch piled against a tree trunk or plant may hold too much moisture and encourage rot. Now that you know all you need to know about mulch to improve your garden soil, if you have any more questions about mulch or improving your garden soil pop down to your local Topline store to speak to your local expert.